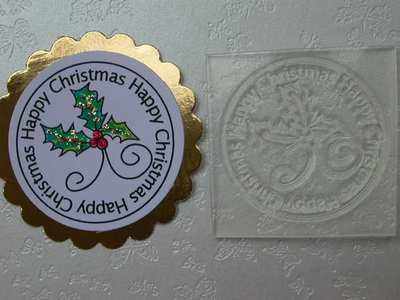 'Happy Christmas', circle stamp with holly, card making sentiment text message in a circle shape. Makes a great combined sentiment and embellishment when layered and coloured. Try tiny red crystals for the berries..